EUCLID was established by a multilateral instrument known as a “treaty in simplified form” in 2008. In accordance with these procedures, the EUCLID Charter was registered with and published by the United Nations Secretariat and is therefore publicly accessible and verifiable in the UNTS database. 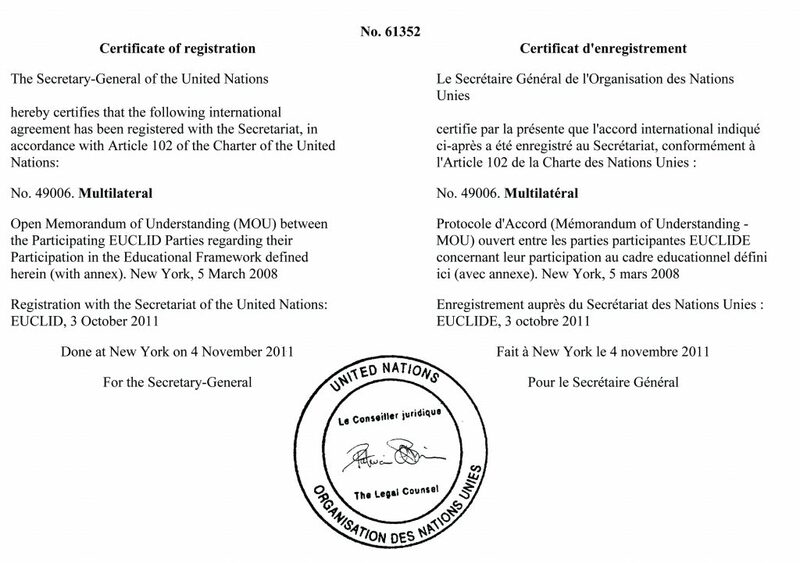 Image above: the UN certificate for the initial instrument (49006). The EUCLID treaty takes the form of two related instruments known as 49006 and 49007.